Ever wanted to do something different with film? Want to shoot sprockets? There are many ways of hacking a medium format camera or several DIY methods to get sprockets. 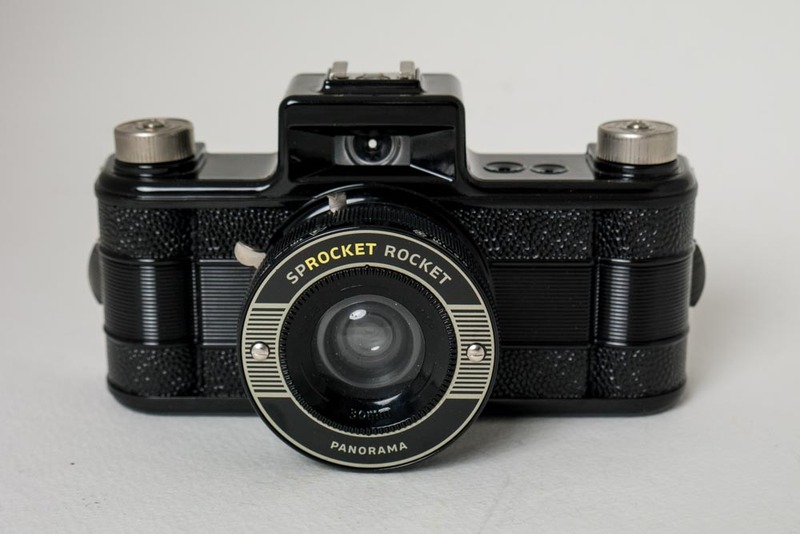 Or, you can go easy and buy a Lomography Sprocket Rocket! There are plenty of technical reviews & how-to-load videos and write-ups so I won't go into this on blog. However, once you get the hang of it (which takes about 10 seconds) it's super easy. I find the edges of the images are soft and there tends to be vignetting on some images...which is actually very cool and toy camera-like. Each image is a panorama exposing the entire piece of film. Therefore, the sprocket holes show up on the picture as black rectangles. Each image on the negative is just over 3" about equivalent to approximately 2 normal 35mm frames. Therefore, a 24-count roll of 35mm film will give you approximately 12 images. I've found you get less than 1/2 of the number of images because the leader is a bit longer than with a normal 35mm camera. There is a simple sunny / cloudy switch on the bottom of the lens, 2 distances to focus (0.6-1m & 1m-infinity). There is a switch for N (1/100 second) & B (bulb). Once you get the hang of using the film advance indicator on top you are good to go. That's it. Like I said, point & shoot. Oh yes, there is a hotshoe on the camera, but I've never used mine. I use 100 speed film on bright days and 400 speed film on overcast. That's the only variable I introduce. One tip, if possible develop & scan the film yourself if you have this flexibility. Just makes things easier. I have NOT sent sprocket film out for developing at a lab, so honestly I don't know how well they do it. I'm sure you need to be very specific with the lab that it's panorama & with sprockets. So if you've wanted to try sprockets, play with a toy camera, or do something different give a Sprocket Rocket a try. I bought mine at the NYC Lomography store location while doing a street photography shoot. They cost about $90. They are also available online. Here are some shots from mine.